the scholarship recipients and Pachay. 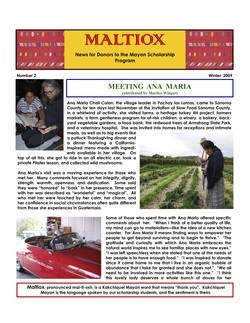 The name of the newsletter, Matiox, is a Kakchiquel Mayan word that means "thank you". Kakchiquel Mayan is the language spoken by the scholarship students, and the sentiment is theirs.